Newly capped Super Eagles forward Sunday Adetunji says he is shifting attention from his latest achievement to weekend’s CAF CC tie with Rwandan club side Rayon Sports. 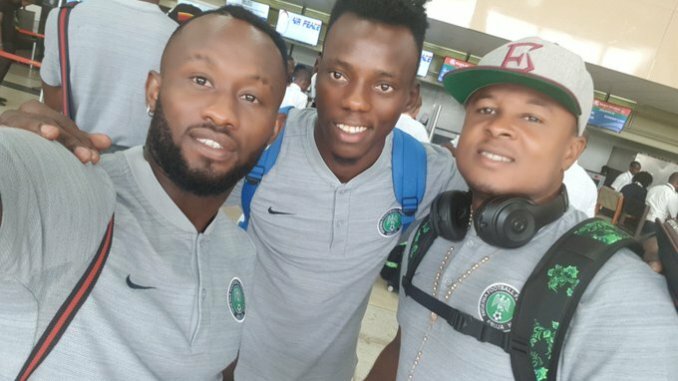 Adetunji was one of the four invited NPFL players that got called-up up to join the Super Eagles team enroute Monrovia and was lucky enough to make his debut, replacing Crotone’s Simy Nwankwo on the night in Monrovia. The Enyimba forward gave God the glory for the National team opportunity and told our reporter that he is prepared to do more if called upon. However, the lanky forward stressed he has put the match against Liberia behind him and now looking forward to the continental match against Rayon Sports of Rwanda. “I’m fully prepared and focused on the CAF Confederations Cup game, Adetunji stated.